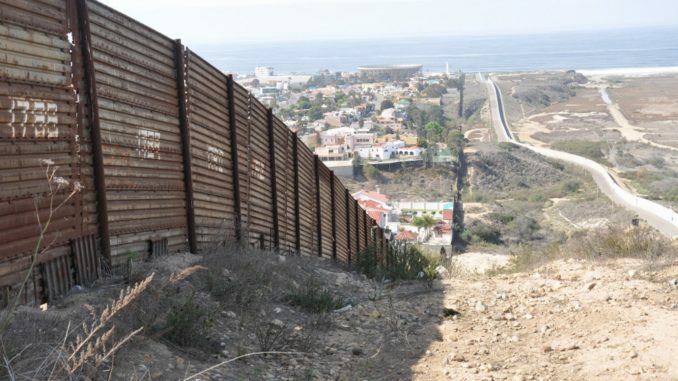 President Donald Trump declared a national emergency in order to secure funding for his infamous wall along the border between the U.S. and Mexico on Feb. 15 after toying with the idea for weeks. The announcement emerged along with the end of the longest government shutdown in U.S. history, lasting 35 days. Both the shutdown and the national emergency declaration resulted from Congress’ refusal to fund Trump’s border wall. The term “national emergency” first appeared in the National Emergencies Act (NEA) of 1976, which declares that the president can unilaterally activate special powers during a crisis to divert federal agency funds towards particular situations. The president must specify in his national emergency declaration which of 136 presidential statutory powers he bases his declaration on, but these powers may not even relate to the so-called emergency directly. This system lends itself to presidential abuses of authority. While Congress can veto a national emergency declaration, that would require a two-thirds majority vote, an unlikely future for the nation’s newest “national emergency” given the Republican-controlled Senate. What exactly counts as a true emergency, though, remains up to debate and the law to justify. Some historical examples of national emergencies are the H1N1 influenza pandemic, rough diamond trade in Sierra Leone and the 9/11 attacks, the latter of which remains an active national emergency, along with 31 others. The U.S. has actually been in a state of active “national emergency” for around four decades, dating all the way back to the Jimmy Carter presidency. These national emergencies are setting a precedent for what our government regards as pressing issues. Now, the president has officially included the situation at the southern border at the top of the nation’s list, along with radical Islamic terrorism and countries recruiting child soldiers. National emergencies, such as the one recently passed, can only be ended via a presidential proclamation or an act by Congress. In theory, national emergencies are meant to serve as temporary measures until Congress decides to act, but it seems that Congress has largely ignored that precedent considering Congress has never voted to end a national emergency. I don’t intend to discount the attempts by House Democrats to block Trump’s newest national emergency declaration via a resolution or the multitude of lawsuits alleging the president’s move unconstitutional, but when is Congress going to address the 31 other active national emergencies currently being funded, most of which date back 20 or more years? For example, the list of 31 national emergencies still in effect includes the first-ever national emergency authorized under Carter in 1979 in response to the Iranian hostage crisis. Trump even formally renewed this emergency in 2017. Is the Iranian hostage crisis still a national emergency simply because the U.S. has failed to renew amicable relations with Iran? Perhaps it’s time for Congress to limit the emergency powers of the office of the president as a whole. Presidents cannot continue to deepen the national debt and oppose Congressional rulings under the guise of “national emergencies.” The national emergency situation proves that the office of the president carries too much power and that the checks and balances of our government are off-kilter. Congress failed to define the term “emergency” in the original passage of the NEA. Rather than simply remedying the current border situation, Congress needs to pass legislation aimed at maintaining the separation of powers within our government by defining what characterizes a true national emergency. It’s time for Congress to limit presidential power before declaring a “national emergency” turns into a last resort move for any president vying to pass his own agenda. A Mexican mayor climbed over a barrier and they are using drones to smuggle drugs in the U.S. so this seems useless!